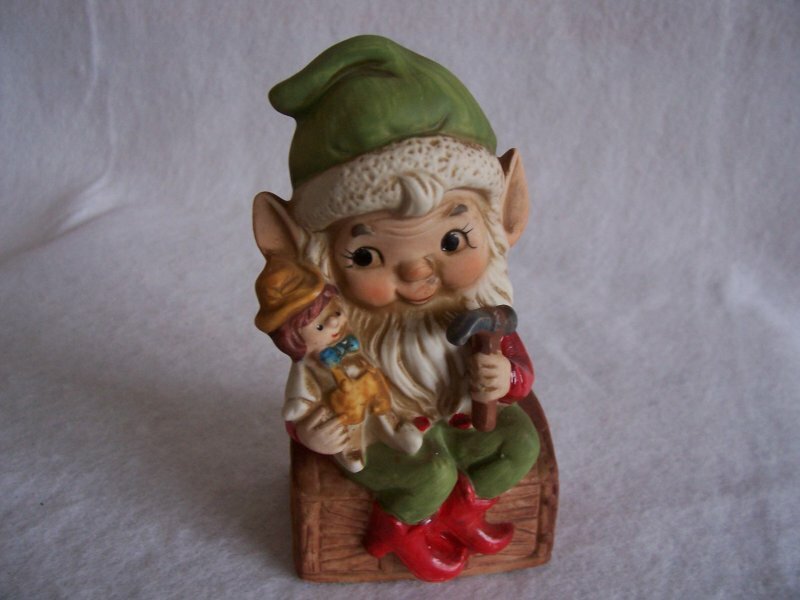 Vintage HOMCO 5406 lot of 3 Santa's Elves figurines. 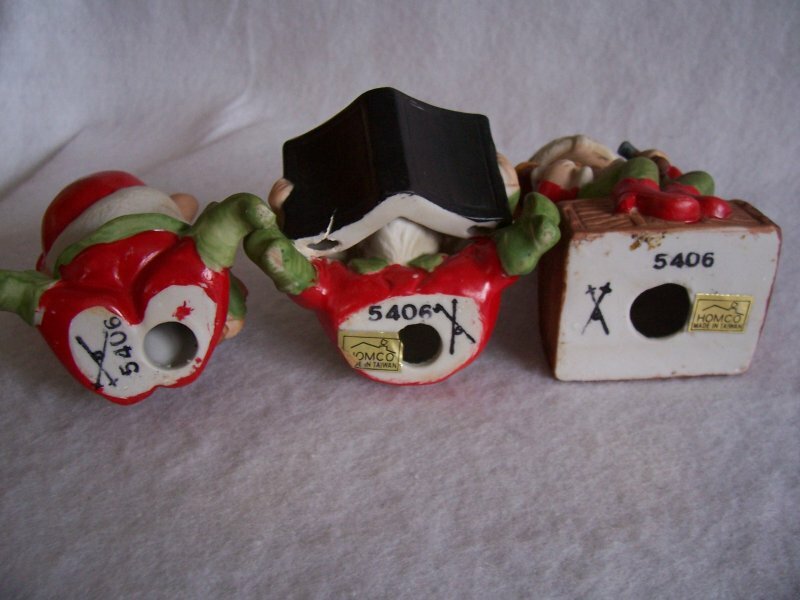 The average measurement of these pixies are 4 inches tall x 3 inches wide x 3 inches deep. In gently used condition, there are no cracks, chips or scratches. 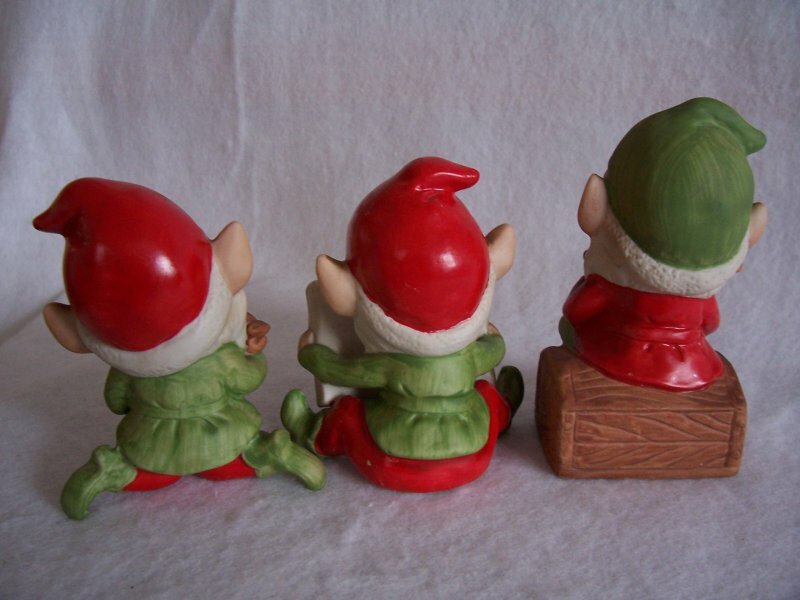 Vintage HOMCO 5406 lot of 3 Santa's Elves figurines. 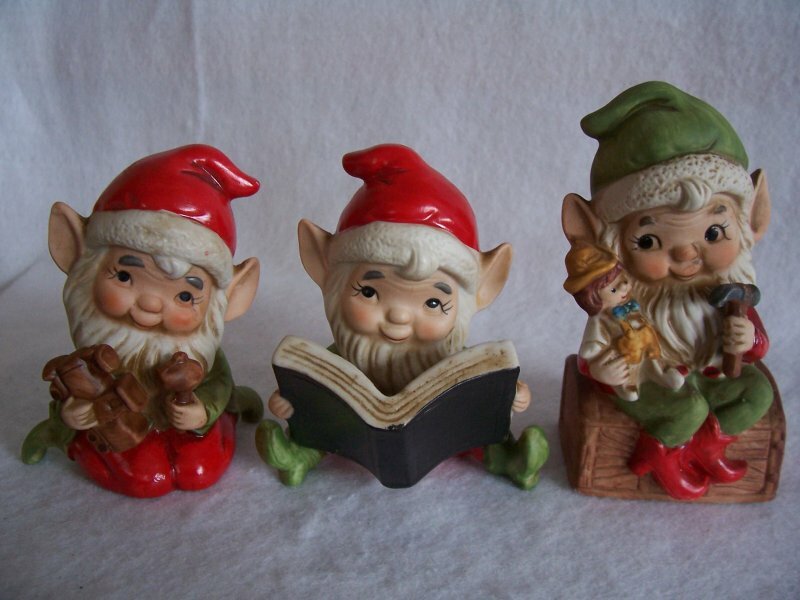 This trio of elves are just adorable! 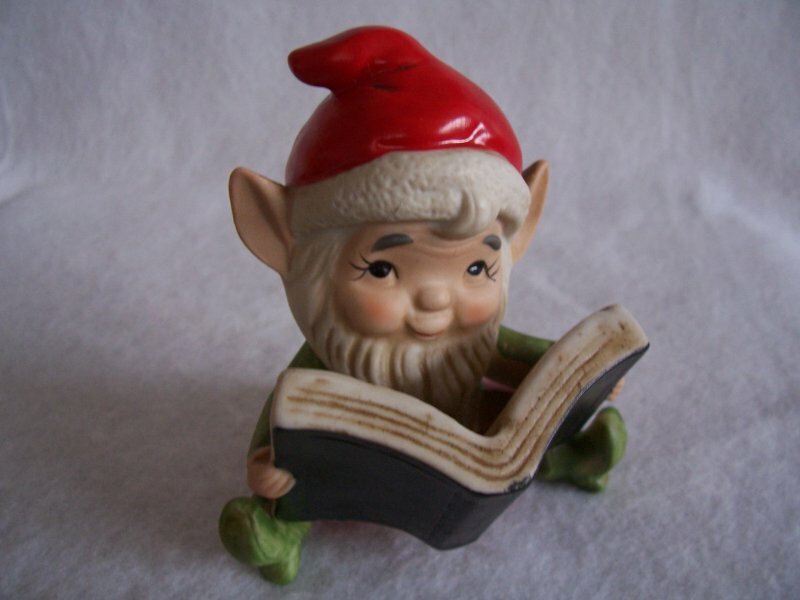 Santa's helper are helping build toys and reading a book. 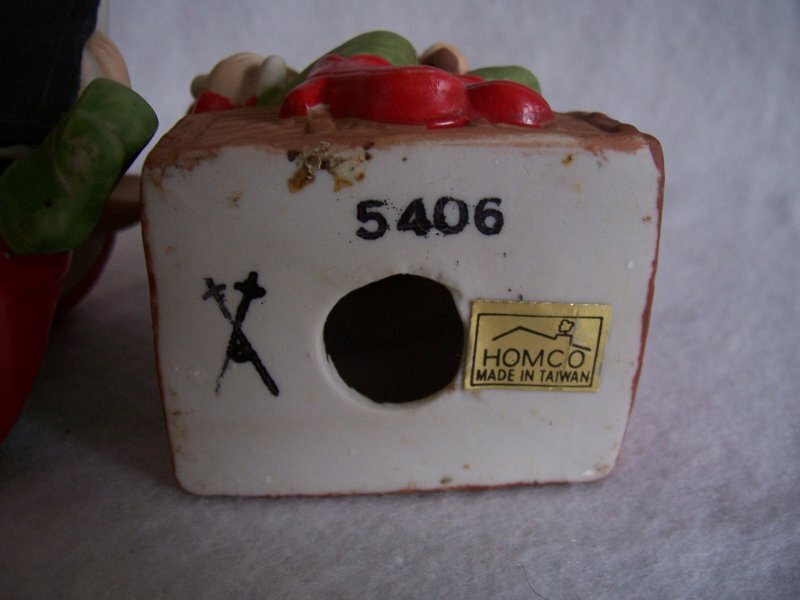 Made of ceramic bisque, they are marked as 5406, 2 of the 3 have the gold foil HOMCO stickers on the bottom and all 3 show the crossed swords. 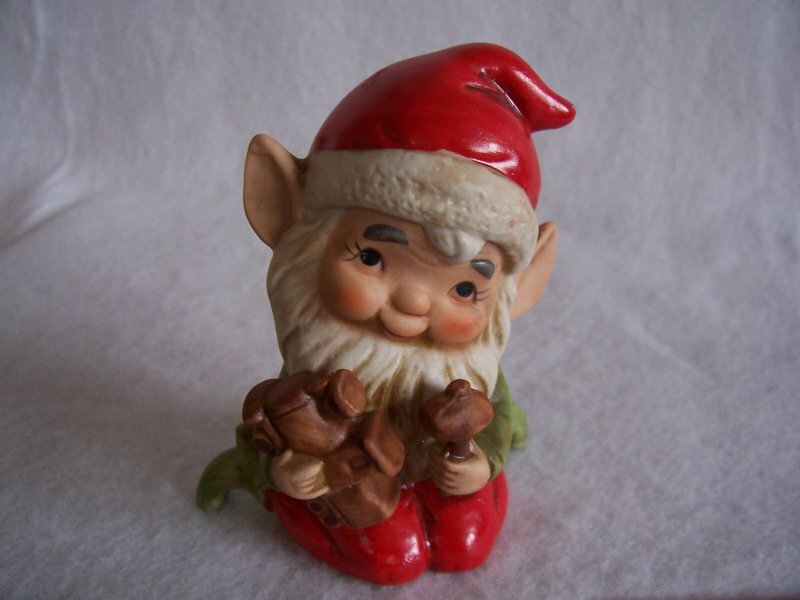 The average measurement of these pixies are 4 inches tall x 3 inches wide x 3 inches deep. In gently used condition, there are no cracks, chips or scratches.